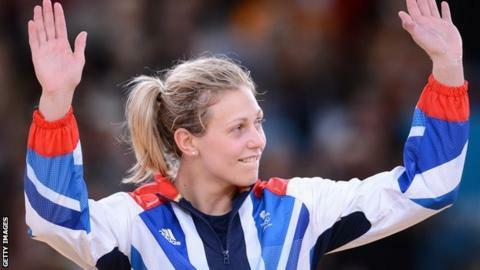 Olympic silver medallist Gemma Gibbons defeated Japan's Ruika Sato to win the Dusseldorf Grand Prix -78 kg category. The 26-year-old, who won the British title last month, was making her first international appearance since winning a silver medal at London 2012. Gibbons beat Germany's Julia Tillmanns, Slovenia's Anamari Velensek and Marhinde Verkerk of the Netherlands to reach the final. The victory was her first International Judo Federation World Tour win. Gibbons took an early lead in the final by waza-ari and yuko before throwing the young Japanese judoka for ippon by uchi mata 12 seconds from the end of the contest.